Set in London in the 19th century, Harrow Road tells the story of Annie Elizabeth Taylor who, at the age of 30, is deserted by her husband and left to fend for herself and her three children. At a time when there were few safety nets for those battered by circumstance, Annie is left with only one option: she enters the Paddington Union Workhouse on Harrow Road. The food is inedible, the bed infested with lice, and every waking hour is regulated by the toll of the workhouse bell. But even inside the “Bastille”, as it’s called, there are friendships: the other women help her adjust to life inside the workhouse. Their colourful stories interrupt the monotony, their friendships support her, and a surprising connection with a London City Missionary helps her to find her calling. 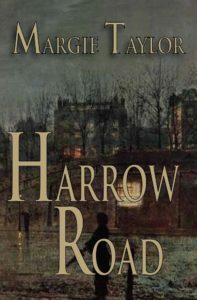 Based on true events, Harrow Road is a compelling and authentic portrayal of the plight of the poor in Victorian London. It is also, in the end, a story of hope.